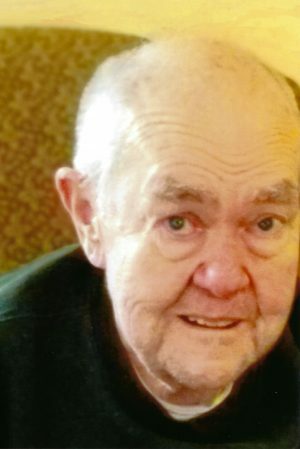 FULTON, NY – James V. Haven Sr. 83, of Hannibal, passed away on Friday, March 22, 2019, peacefully in his sleep. Jim served in the US Army during the Korean War, while stationed in Oswego, he earned the rank of sargent. For the last 62 years, Jim called Hannibal his home. He worked as quality control in the molding department at Nestle’s Co. eventually retiring after 43 years. In addition, he worked as a bus driver for the Hannibal Central School District. Jim was a trustee for the Hannibal Community Church, involved in 4-H and a scout master for the Cub Scout Troop #51. Jim was predeceased by his wife of 53 years, Beverly J. Pierce Haven. He is survived by his two children, James V. (Marian) Haven Jr. and Jeanine Haven; one grandchild, Andrew “Jack” Haven; five brothers-in-law; and extended family. There will be a graveside ceremony with military honors at Fairdale Rural Cemetery in the Spring.